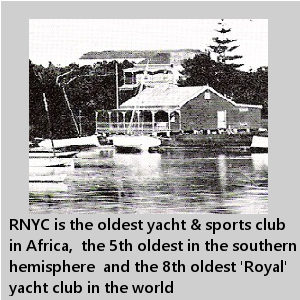 Africa's oldest yacht club for all. • Become a member - Visit our membership section. • All international visiting yachts welcome. 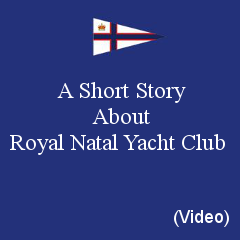 As the oldest yacht club in Africa and the fifth oldest in the southern hemisphere, Royal Natal Yacht Club seeks to maintain a proud heritage by providing members with yacht racing, cruising and social facilities on the eastern seaboard of South Africa. The club endeavours to promote sailing in all forms by making significant contributions to development and youth sailing programmes. Members can enjoy a variety of facilities and venues which house a number of regular social events and entertainment off the water.